Update - David left another comment about how to hedge against economic upheaval that may be coming as a result of efforts to free the planet. This comment has been added to the end of this article. 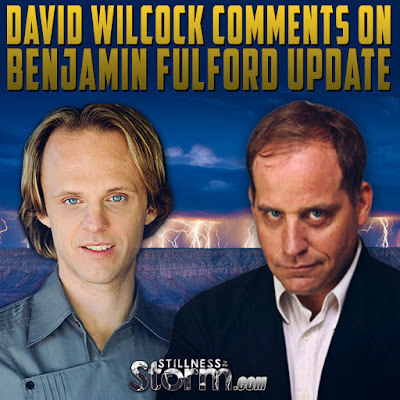 For those who are interested, David Wilcock left several extended comments on the latest Fulford update regarding the ongoing takedown of the Cabal, and how this may be happening soon. He further commented on the notion that RH negative blood in some people can be traced to an extraterrestrial decent. "I think the best thing we can do, as people who are far more educated about the truth than most, is to help provide a voice of calm and stability." I concur with his assessment, and I'll add that in my own observation when a mind is unwilling to accept the truth, sharing ideas with them can be very difficult. Instead, we can offer compassion, kindness and overall spiritual support or healing to those too traumatized to walk the awakening path right now. This way when big shifts occur, they will be more stable within so as to receive what is without in an open minded and hearted way. In time, the wounds of living life on this troubled world will heal, and then the unawakened will be more willing to start the truth adventure. We can help play an integral part in healing and preparing the way for this grand awakening moment, by simply finding with ourselves the ability to set aside grudges and prejudice, forgiving past transgressions, while at the same time, standing strong against oppression when it crosses our path. In this way, we service others while we service the self in a holistic all loving way, transcending duality and the separate self-consciousness that has plagued our planet. If Wilcock and others are right, that things are reaching a fever pitch, which if the economic situation is any indication, seems to be the case, then our chance to take advantage of this transitional moment is ripe, we need only step into that open doorway. To read the Fulford update related to Wilcock's comments, see the below-linked article. I guess I got lucky. Call it psychic if you will. Had no idea it would be up but some part of me did. My mega-article is in the birthing room and nearing delivery. Now I have to go back and read this! Thank you! 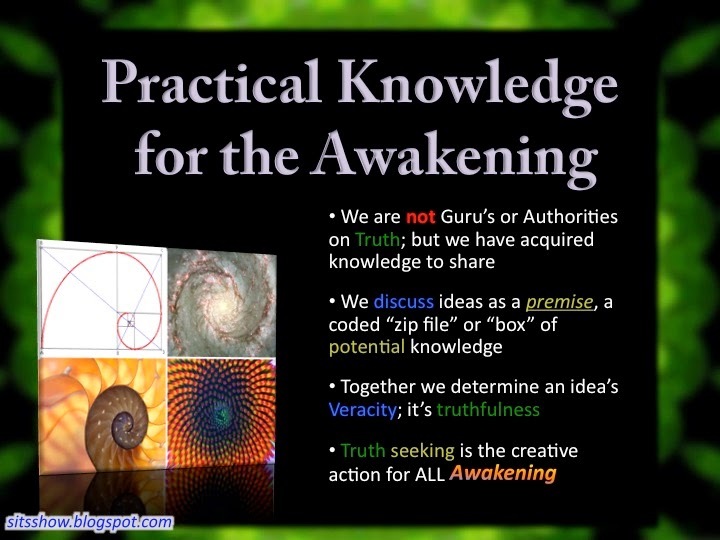 There is so much going on now that even the most brainwashed individuals must sense time of a huge change is upon us. I had a long conversation with a couple of people who were into alternative media but only one of them knew about my work. Neither of them were tracking the story of how the Cabal is on the verge of defeat. I felt badly about this as I realized there must be many more who are in the same boat. Folks like Ben and I can only do so much, and the Cabal has taken on a mythical power in many people’s eyes and seems indestructible. Getting the blow-by-blow here each week can blind us to the fact that most people studying this are completely unaware of how close the Cabal is to the edge. Then I realized this is programmed into the universal mind we all share, via the Hero’s Journey archetypes. Everyone has to go through that “All is Lost” moment, the “Dark Night of the Soul,” where nothing seems salvageable but then it actually works out. It does appear that we are almost upon that point. The negotiations of how to make the final moves are still undecided right now within the alliance, which is quite a conglomerate of different factions. However, once it does happen there will probably need to be an economic collapse, at least temporarily, and we may see some momentarily shocking military activity in major cities and particularly NY and DC. It does not appear the Cabal has enough support or financing to successfully counteract the final move. They know it is coming and their plan seems to be more focused on trying to run rather than sticking around for it. The public will be so furious, all the “Real Americans” out there, that the Cabal will be much safer in a mass-arrest scenario than if they were still around. They know this. The general public will probably want to think everyone in the Cabal is some sort of reptile who deserves to be destroyed, and all sorts of mythical and occult beliefs about Satan and demons will suddenly appear. The only way we get full disclosure is to pull together as an alternative community and demand the truth once the partial narrative is set out for us. 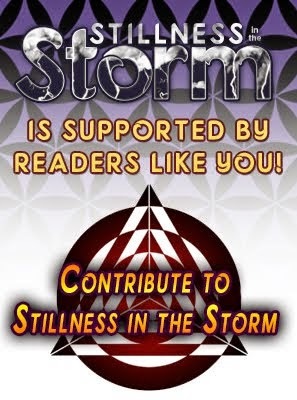 We will be very happy to see disclosure at all, since it will include 9/11 truth, Cabal exposure, some history, some space program stuff, some UFO stuff, et cetera… but there are many problems with the partial narrative and we must not let it go that way. The Alliance is reading this and look, you guys, everybody wins in the full disclosure timeline. And you can’t get a woman half pregnant. I asked insiders about RH negative and was told it is not strictly the result of alien DNA, though there is a loose correlation with certain refugee groups that came here. Related Alien Blood Type | Does Rh Negative Blood Type Equal Hybrid Heritage? Ben is right about there being class-action-lawsuit type bailout payments to the public once this happens, but his figures are definitely higher than what the discussion is trending towards on the inside. RH is a simian or “rhesus” protein in the blood, as it is found in rhesus monkeys. Certain ET groups do not have it and if you have a negative blood type, you don’t have it. Again, there is a loose correlation between alien DNA and RH negative blood. People with more of that DNA will tend to be RH negative, but there is no absolute connection. This is Ben’s forum, not mine, and I have to crash out and get more sleep anyway to finish my own, which is now a book. In conclusion I will say I am extremely excited about what is going on right now. You have people who have been lied to their entire lives who are just now yawning for the first time before they fully wake up. The possibility for real freedom is in our grasp. In some ways this event will ruin the lives of people who have already been out there sharing the truth, since we will become vastly more public. I have been warned about this extensively and am enjoying the final days of my anonymity and being able to go around in public easily. It’s going to be quite a wild ride. Strap in! I doubt anyone has been more frustrated than I have with the delays after hearing very good intel that has been right about many other things. One thing I will say to everyone before the article comes out. The insiders told me to get physical silver and keep it at home as a hedge against the economic changes. It’s running about 15 bucks an ounce at the moment and supposedly it costs 26 dollars just to produce an ounce coin. The best thing is to just go to a local coin dealer and see what they have. Also some common-sense prepper stuff is good, like food and water. Given the sudden plunge in the European banks and Greece, just since Ben wrote this, we may not be waiting much longer. This could really move fast once it starts.